Have you suffered losses in Linn Energy Upstream MLP? If so, the securities attorneys of The White Law Group may be able to help you recover those losses from the brokerage firm or financial advisor that recommended the investment. In the United States, a master limited partnership (MLP) is a limited partnership that is publicly traded on an exchange qualifying under Section 7704 of the Internal Revenue Code. It combines the tax benefits of a limited partnership with the liquidity of publicly traded securities. In the last few years, MLPs have become a popular way to structure energy/oil and gas investments. According to Morningstar, from the start of 2010 to the end of 2014, a net $44 billion flowed into MLP mutual funds and exchange-traded funds. Since 2009, MLPs have raised more than $100 billion from initial public offerings and follow-on stock sales, according to Dealogic. Investors were lured in particular by the companies’ assurances of steady payout increases and tax advantages. Most MLPs earn money by charging oil-and-gas producers to transport or store their products. MLPs have also been popular in recent years because they have provided relatively high returns to otherwise income-starved investors. Linn Energy Upstream MLP is involved in crude oil, natural gas, and NGLs (natural gas liquids) exploration and production. Linn’s general partner is held by LinnCo (LNCO). LNCO is structured as a limited liability company, or LLC. If your financial advisor over-concentrated your portfolio in MLPs, you may have a viable claim to recover your losses. Financial advisors are required to make suitable investment recommendations, accounting for your age, income, net worth, investment experience, and investment objectives. Diversification is the key to reducing risk. 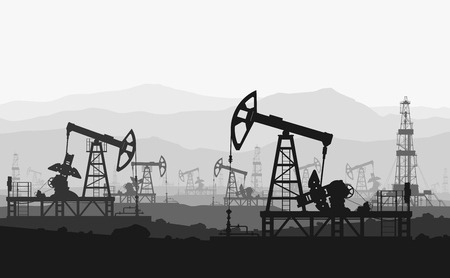 As such, over-concentrated exposure to any sector or investment (but particularly volatile industries like oil and gas which are so dependent on global demand and supply), can be unsuitable for many investors. The White Law Group is investigating the liability that brokerage firms may have for making bad bets on MLPs like the Linn Energy Upstream MLP. Oil and gas producer Linn Energy LLC filed for chapter 11 bankruptcy May 11th after reaching a deal with lenders to restructure its $8.3 billion debt load and obtain $2.2 billion in fresh financing. As we have discussed in previous posts, dipping oil and gas prices have forced many energy companies to look for ways to restructure their debt. Investors in these partnerships could be facing a hefty tax bill as they are hit with taxes on debt that the partnership eliminates. In an effort to ease the pain to investors, Linn Energy made two exchange offers in which holders of Linn Energy units were given the chance to swap them for stock in LinnCo. Shares in both companies are likely to be wiped out now that they are in bankruptcy, but the swap but may help the tax issue for investors. The White Law Group continues to investigate the liability that brokerage firms and financial advisors may have for recommending high risk MLPs, like LINN Energy to their clients. Brokerage firms that recommend energy investments are required to perform adequate due diligence on the investments to ensure a reasonable likelihood of success, and to evaluate whether the investments are suitable in light of their client’s age, net worth, investment experience, risk tolerance, and investment objectives. Firms that fail to perform adequate due diligence, or that make unsuitable recommendations, can be held responsible for losses in a FINRA arbitration claim. If you lost money investing in the Linn Energy Upstream MLP and would like to discuss your litigation options, please call the securities arbitration attorneys of The White Law Group at 888-637-5510 for a free consultation. The White Law Group is a national securities fraud, securities arbitration, and investor protection law firm with offices in Chicago, Illinois and Vero Beach, Florida. For more information on the firm and its representation of investors in FINRA arbitration claims, visit https://www.whitesecuritieslaw.com.